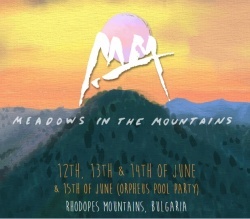 Nearly a thousand foreigners, mainly British citizens, flocked to the Bulgarian village of Polkovnik Serafimovo for the fifth edition of the Meadows in the Mountains festival, which began on Friday. For the fifth year in a row, a whole festival town was built on the meadows above the village, which is located in the municipality of Smolyan. The beautiful scenery of the Rhodope mountains attracts visitors from Germany, France, the USA and Australia, private bTV station reports. This year the event will last from June 12 to 15 with 48 artists, music bands and DJs specialising in electronic music, techno and ethno, having been invited to perform at the two stages of the festival. This year the festival was declared as one of “Europe’s Ten Best Summer Festivals You Never Heard Of” by Forbes. The festival known as the “English fair” is organised by a British family, who owns a house in the village. Eight British families reside in the village permanently, but their number rises to twenty in the summer.